Cooking with Arthur: Does Eating Soy Help Arthritis? Does Eating Soy Help Arthritis? As part of the 'Arthur Investigates' series of posts, today we're looking at whether soy protein is a useful addition to the diet for people with arthritis. 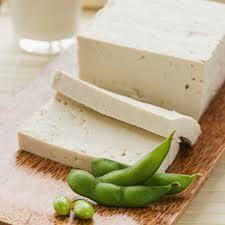 Soy beans are used to make tofu, soy milk, flours and even protein shakes. The beans are also delicious green as edamame or dried and cooked. Soy is rich in phytoestrogens that can help regulate hormones and reduce blood pressure - but it is also a controversial food, both in terms of how sustainably it is sourced and concerns about unintended health effects. The research on soy and arthritis is patchy but it does seem that it can have some benefits. Osteoarthritis - one small study giving patients a 40g supplement of soy protein a day, found that it helped relieve pain and stiffness as well as improving chemical markers of cartilage damage. Interestingly, it was more effective in men than in women. A review of studies looking at avocado and soy unsaponifiable supplements (of about 300mg a day) concluded that they improve pain but longer term studies were needed to confirm this. Inflammatory arthritis (rheumatoic, psoriatic and ankylosing spondylitis) - there has been less research looking at the effects of soy protein on inflammatory arthritis. A study giving rats with RA soy protein found it suppressed the inflammatory response and slowed disease progression. This anti-inflammatory effect has also been found in lab cell studies. There haven't been many studies on patients so there isn't any firm evidence on whether it helps in 'real life' or how much you'd need to consume to get a beneficial effect. Soy protein has been found to help prevent osteoporosis in several studies, and people with inflammatory arthritis are more likely to get osteoporosis so there may be some benefits to consuming it as part of a heathy, bone-boosting diet (see this post for more information). Ultimately, it seems that soy might be helpful for people with arthritis but there isn't enough evidence to make any clear recommendations. My advice would be that if you like soy products then carry on eating them as part of healthy, balanced diet. 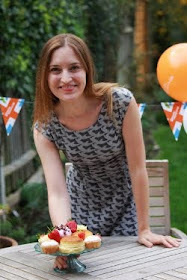 I'll be posting a soya-rich recipe next week so look out for it!